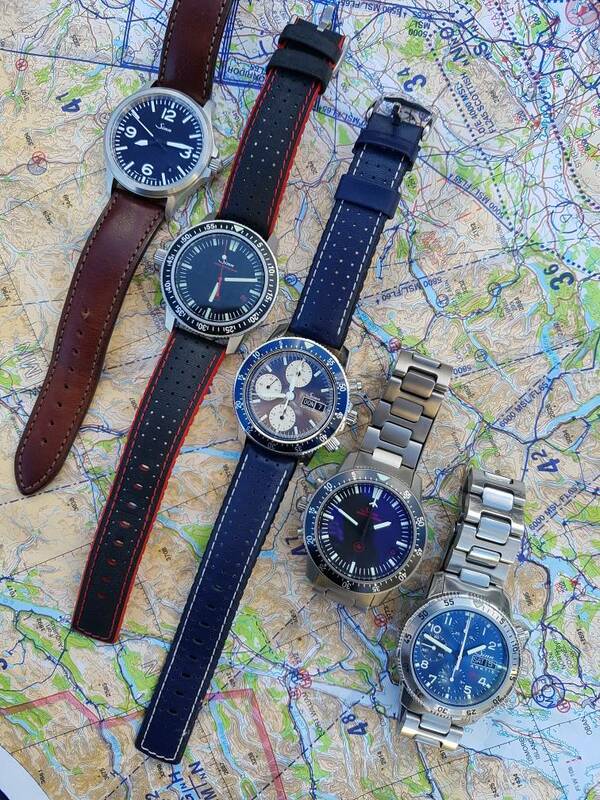 Think I’d be wondering that myself, some lovely watches there. No wonder, the first and last especially are gorgeous. 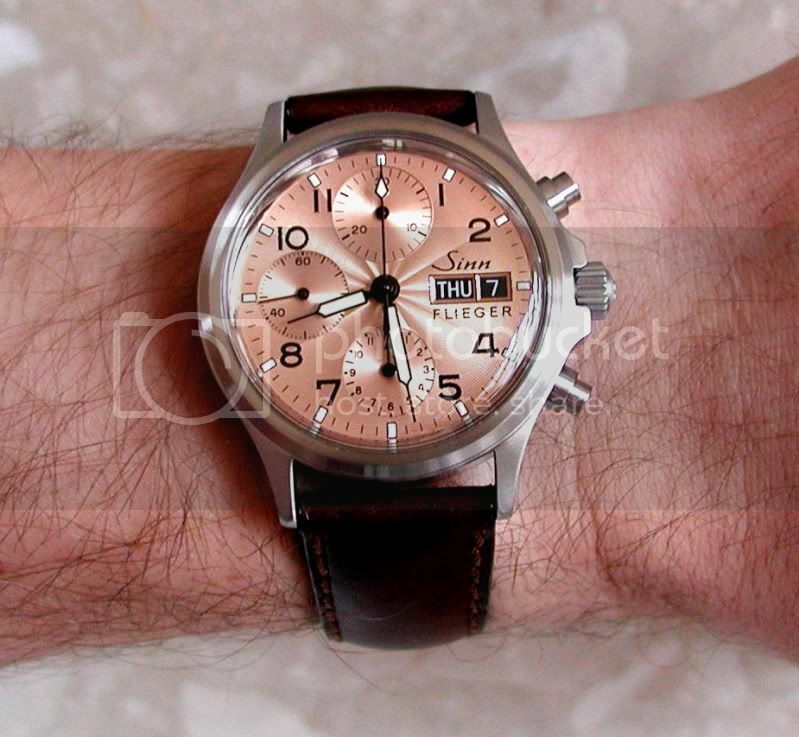 I've a Sinn 356 black dial, and never 'got' the copper dial, but your photo I think is the first I've seen that really shows it off, that's stunning. Just the one at the moment, but I'm working on it. 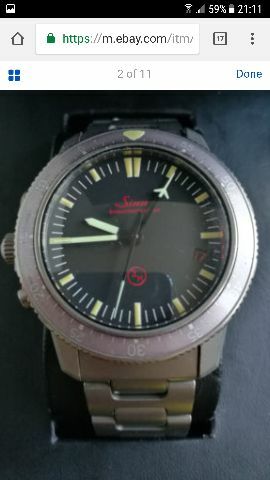 Had this one from new and had the case bead blasted at Sinn before delivery. Strangely never bonded with it and it’s with a new owner now. 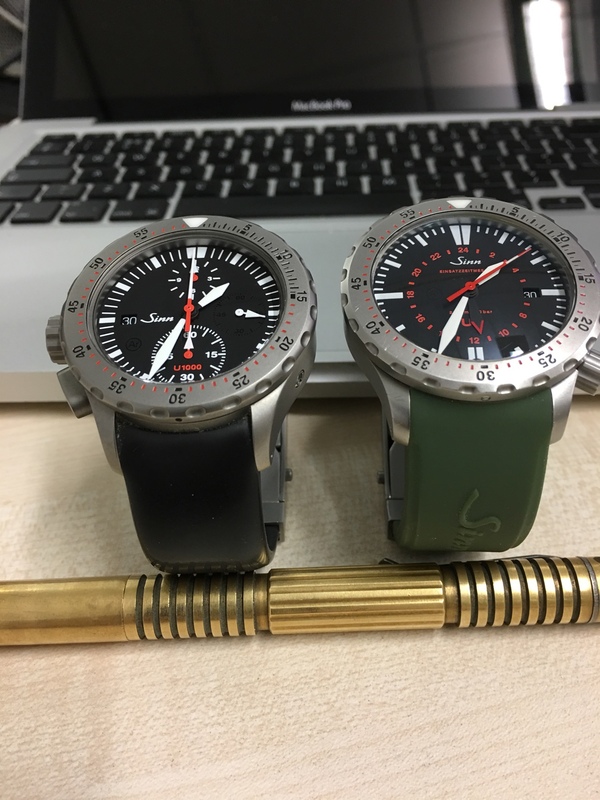 Just when I manage to convince myself my first proper watch purchase will be a Sinn someone has to go and post a photo of a Damasko dc66 sitting beside a UTC..... Both are firm favourites, any notable strengths or weaknesses given you own both? 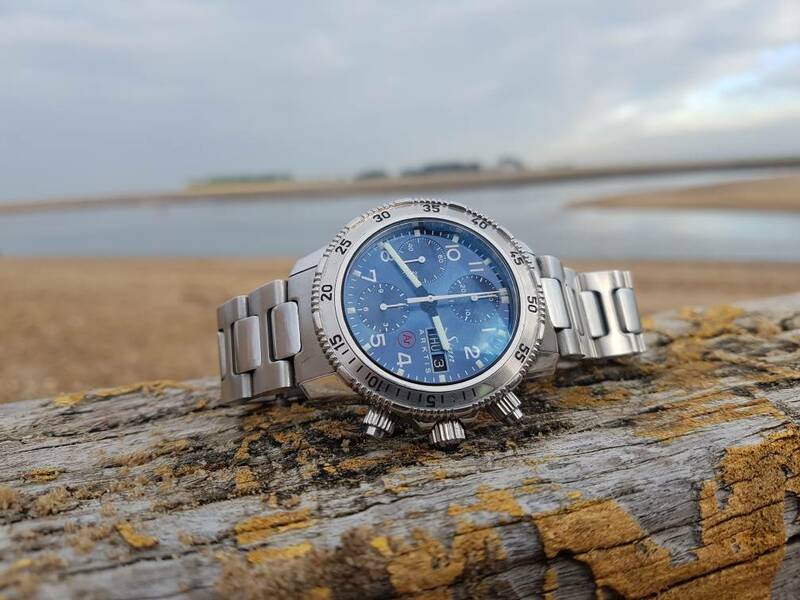 used to prefer damasko for the small production and relative scarcity, plus the fact that they were a true geek tool watch made by a german aeronautical wizard in his shed. .
but i think they have lost heir way recently . none of their recent models appeal to me. mind you, i also think sinn have lost their way a bit too. 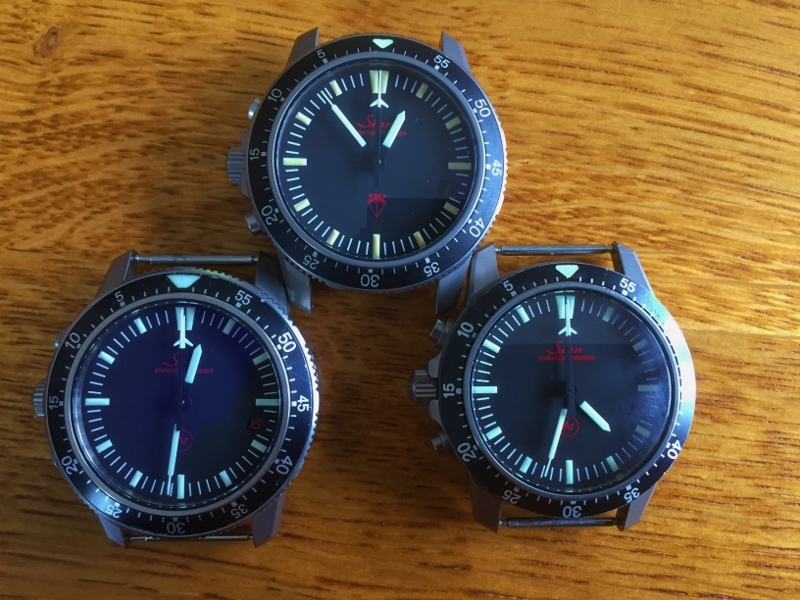 main thing that stops me from buying one of the damasko is the poor lume, plus the excessive outer ar on my old 36 meant i was wiping the watch every five minutes. 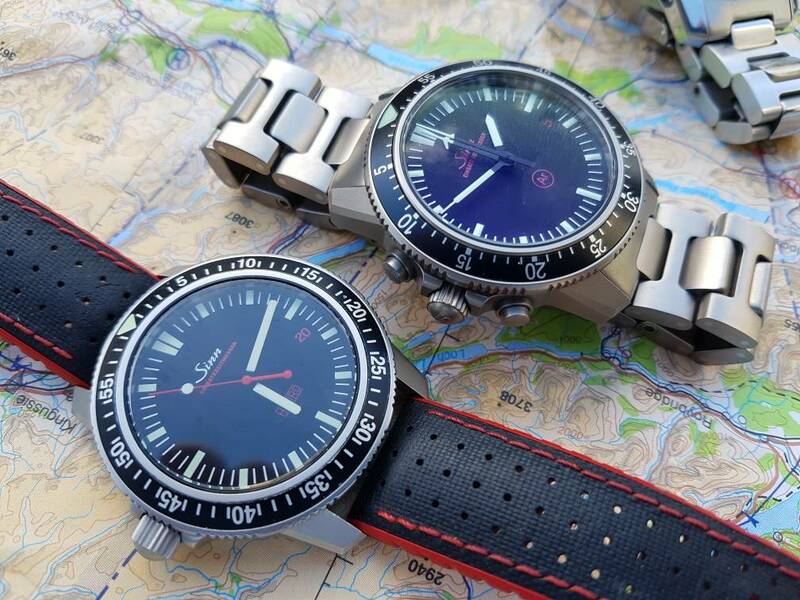 materials and execution are pretty good though, maybe they even have the slight edge over the sinn. 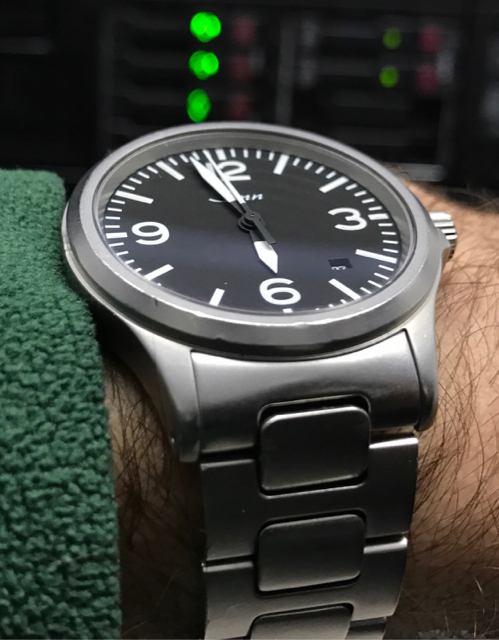 customer service from damasko can be patchy, maybe because they are such a small outfit, but also because initially at least i don't think the focus was on the customer. Last edited by seikopath; 9th November 2017 at 09:44. Thanks for that, I had read a little about Damasko customer service and UK service issues, not ideal but probably not enough to turn me away, obviously the dc66 and 757utc are very similar beasts and some variant of either one will likely be where I end up. 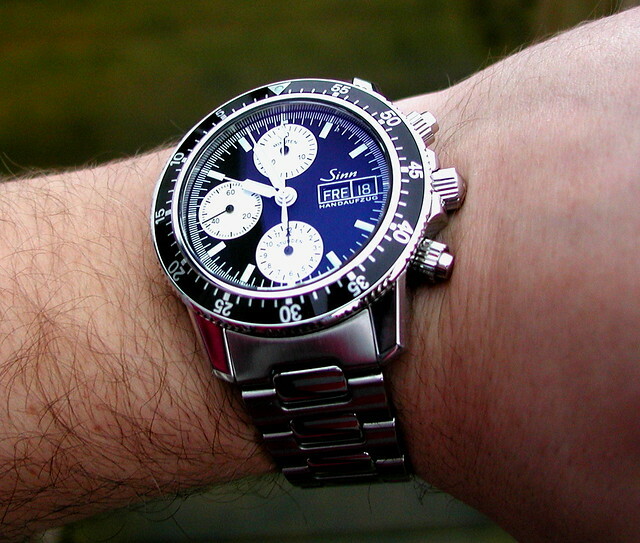 Did see a 756 diapal on a bracelet on eBay for what initially looked like a decent price but don’t know good/bad issues of that model and then noticed 0% feedback, I’ll probably avoid. This has touched down in its new home and I'm exceedingly happy with it. I’ve got a 103 but these ones are the best!! Unfortunately sold out by the time I realised they existed but it looks like I may have got my hands on one that may arrive soonish!! That's lovely. What's the model number? Cheers, I think so too. The model is designated '103 A Sa B', a limited edition of 500. Excellent Chris, keep us posted! ^^Are the bottom two both LEs? No Dave, the LE is on the left, you can tell from the enlarged 12 index on the bezel. would some kind soul do a side by side of a 356 and 358 please. already know I like the smaller but old eyes might like the larger; even with the price difference. 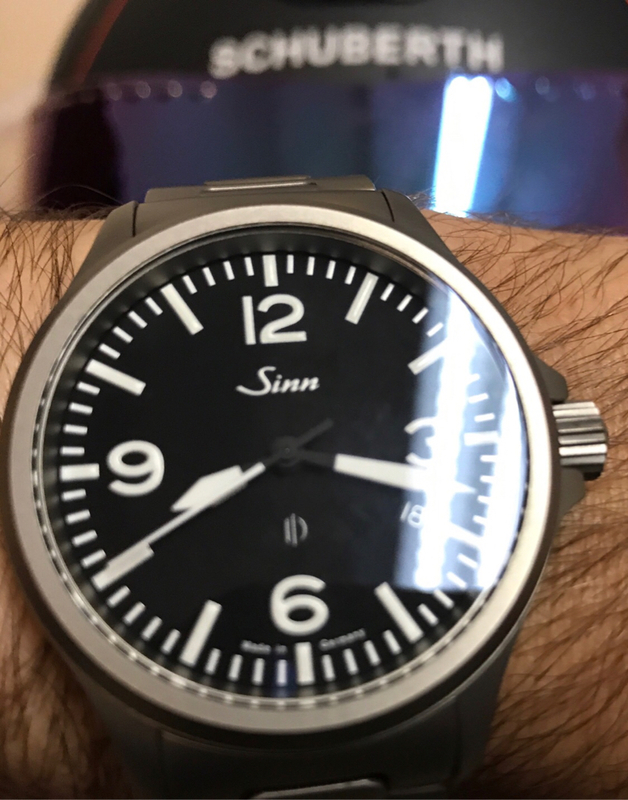 Thank you - it's the first Sinn I've seen with subdials that really pop, to me. Are the subdials truly that creamy yellow? Just been googling it and they look far less warm in the stock images. I think that it depends on the lighting conditions, they can range in appearance from silver to a lovely buttermilk shade. The tight concentric rings seem to catch the light without being overly reflective. So lovely to see some colour outside too - makes a refreshing change from the current gray-scale over here. Cheers dave. This puppy was sold on ebay recently. Nine times out of ten i think the used/patina thing is overhyped, but I think this is absolutely gorgeous. 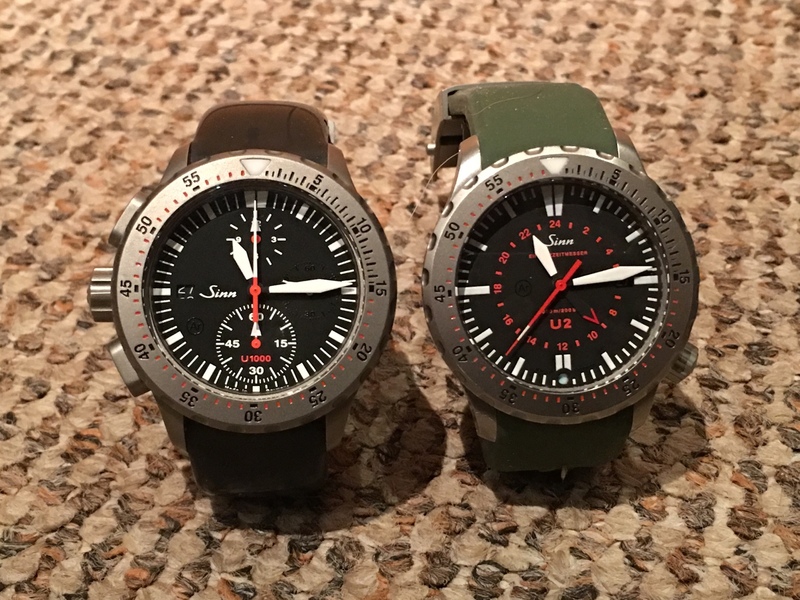 I do like a nice Sinn, but I also rather like a Damasko and a Fortis. What a great trio. I would be very happy to have those three in my collection. Yes, they are a sort of slightly gilded (metallic, but matte/eggshell, not super shiny) cream colour. The exact tone does vary depending on the lighting. 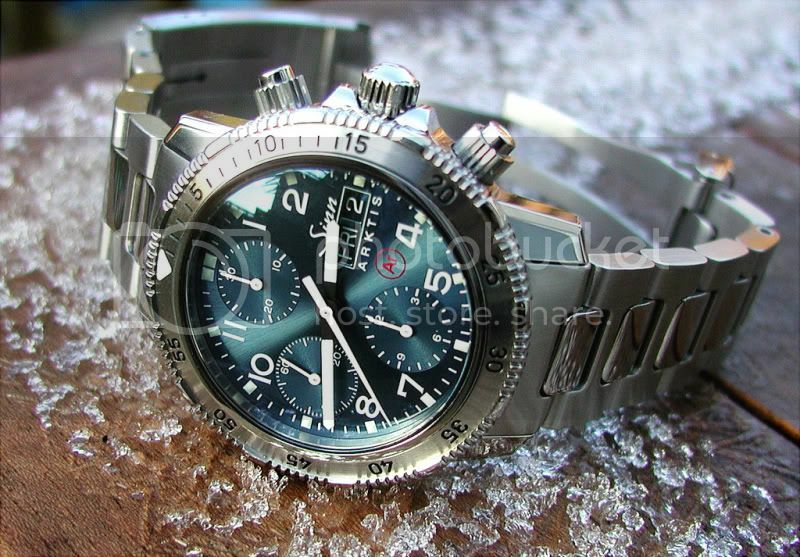 I do like a nice Sinn, but I also rather like a Damasko and a Fortis. 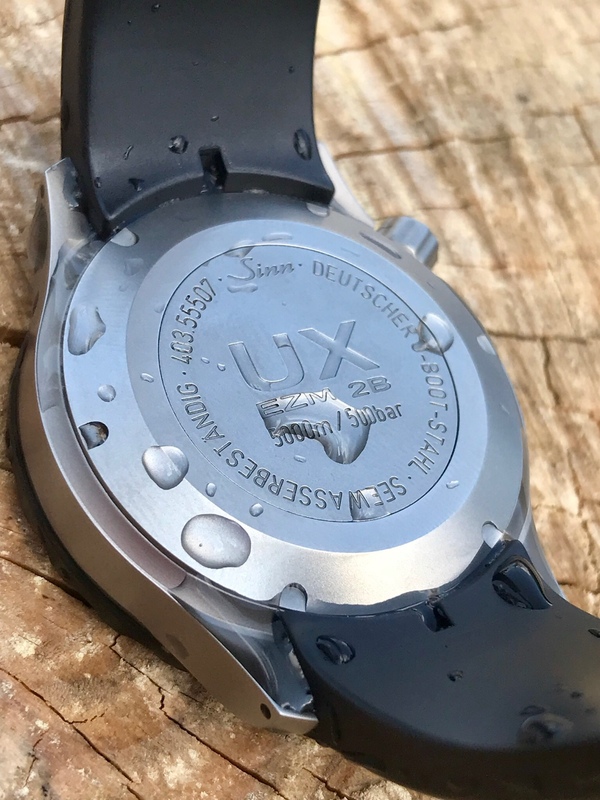 the germans do make a nice tool watch. no doubt about it. In particular, what's the action of the pushers like on the commando? 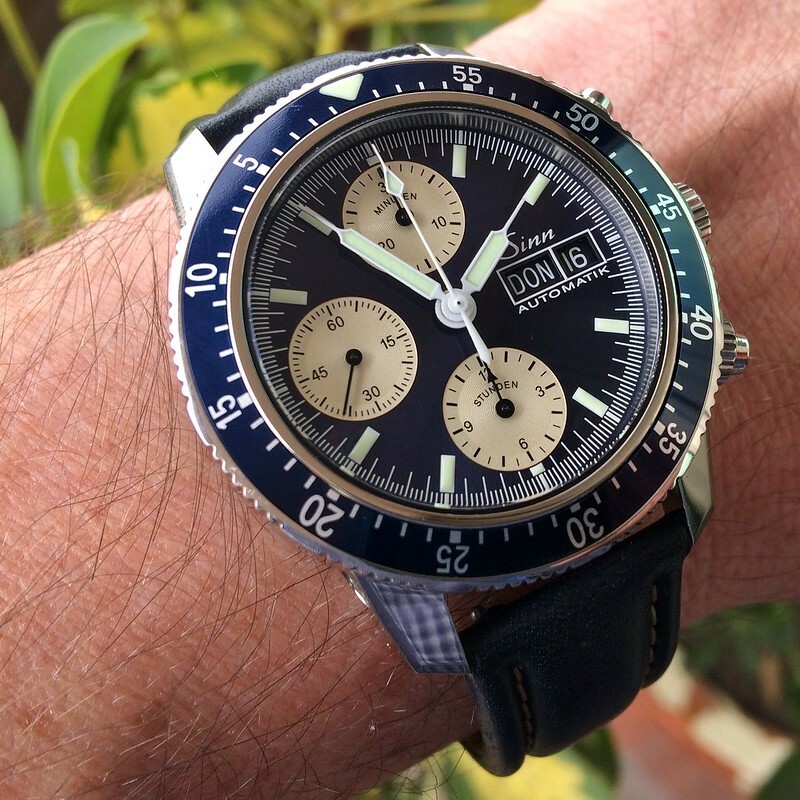 Much of a muchness and probably down to taste really Dave - the EZM is my preferred one as it is a more classic shape, a purer dial and the chronograph is readable in the dark; the Tutima has a 12hr counter to its advantage and is certainly housed well - the addition of the bezel over the standard Commando II is also a strong point with this particular one. The pushers on the Tutima are good - you need a firm, positive push of course but I really like the 'integrated' design - the main drawback is there is a possibility of them getting muck in which may jam them a little - but that's not something I've experienced nor many others - it's something that was noticed only once by someone as far as I know. I know 'Sweets' has the same combination and, I think, prefers the Tutima, but it's a marginal call either way I think. 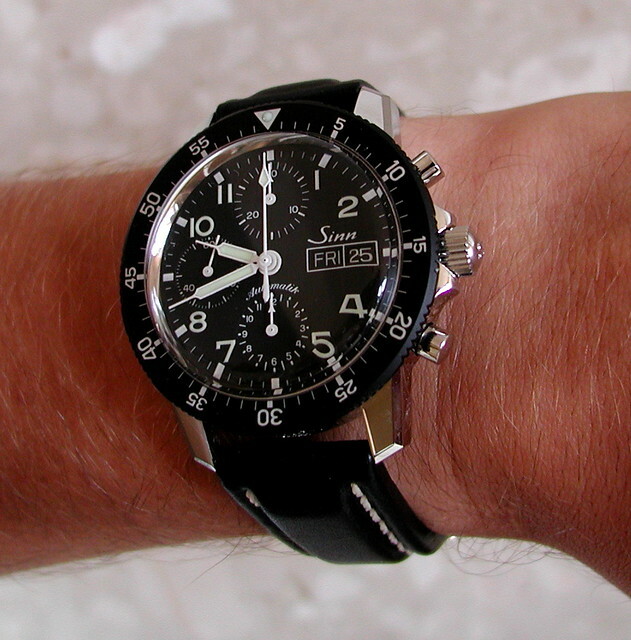 I've had a thing for Sinn for quite some time, but I never got round to buying one. The 857 UTC was especially to my liking and when the TESTAF version came out I was sold. While I think the whole TESTAF thing is just gimmicky marketing, I way prefer the orange colour scheme comapared to to the regular green. I've been concentrating on G-Shocks for a while now, my only mechanicals have been my grandfather's old Tissot and a Sarpaneva's S.U.F Komentaja. 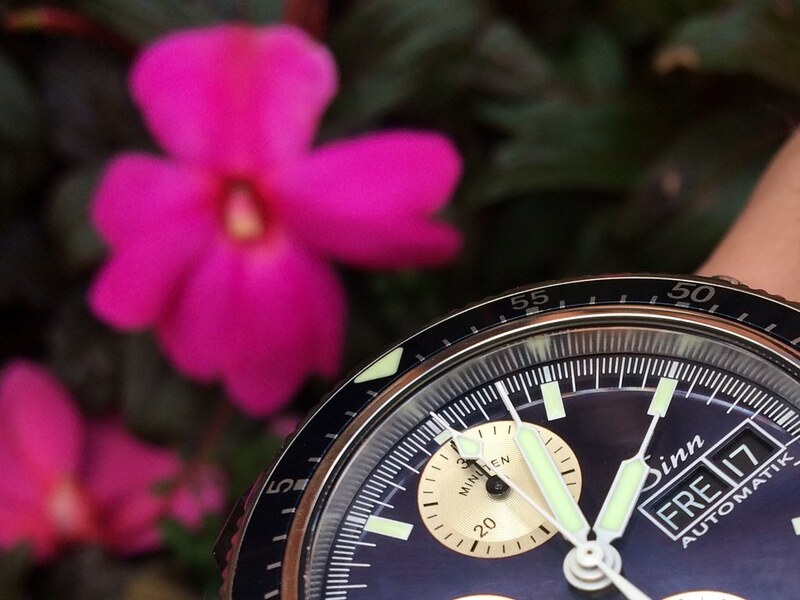 The Tissot will not willingly leave me while I'm still breathing, but the S.U.F I had little emotional bond to. 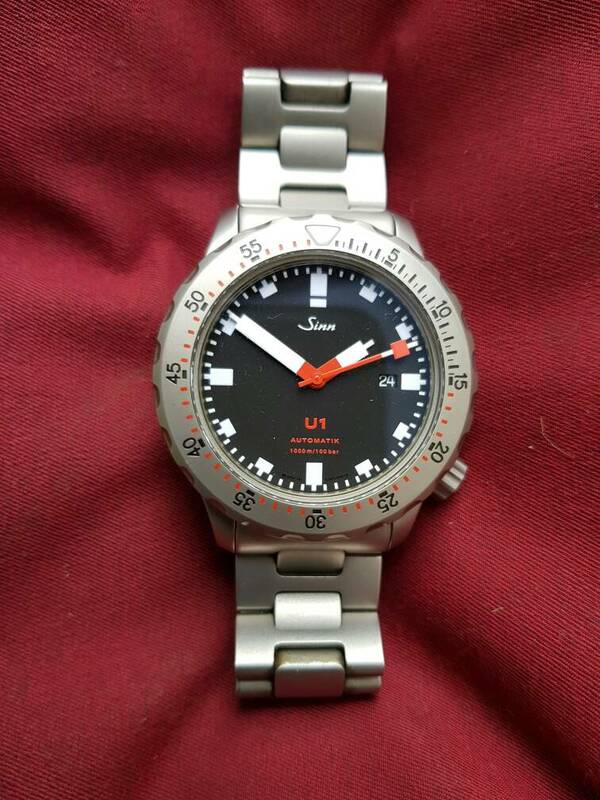 My local used watch dealer had had a 857 UTC TESTAF on the list and I decided to lose the S.U.F and try to see if the Sinn would reignite my interest in mechanicals. This is my first mechanical incoming in two years. Sorry for the poor pics. We haven't had decent light over here since thursday when I bought it. I'll try to snap some better ones when we get some sunshine. I must say I'm pretty happy with the watch. I'm not sure if this is a gateway back into serious interest, but at least I'm wearing it (unlike the S.U.F which I've worn once in 2017) and looking at it brings me pleasure. 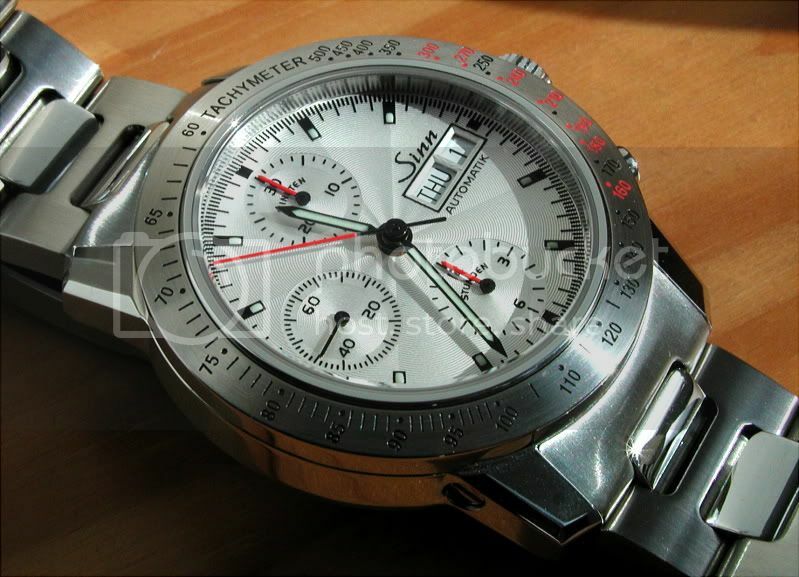 An 857UTC us very high up my wishlist. 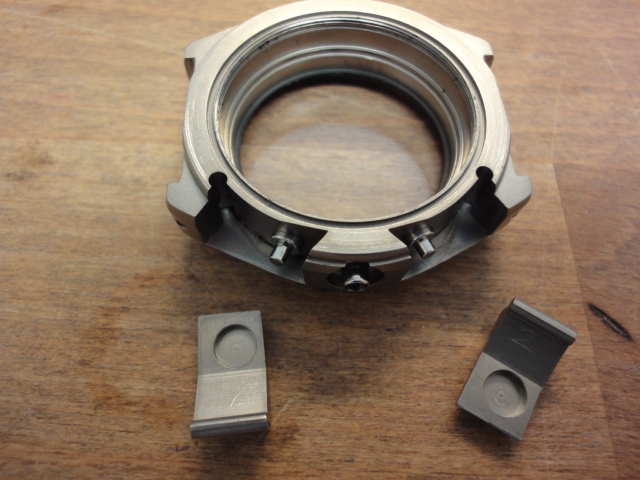 I'm extremely tempted by those from the Hydro range, but not so much the latest, rather too large at 44mm ones. 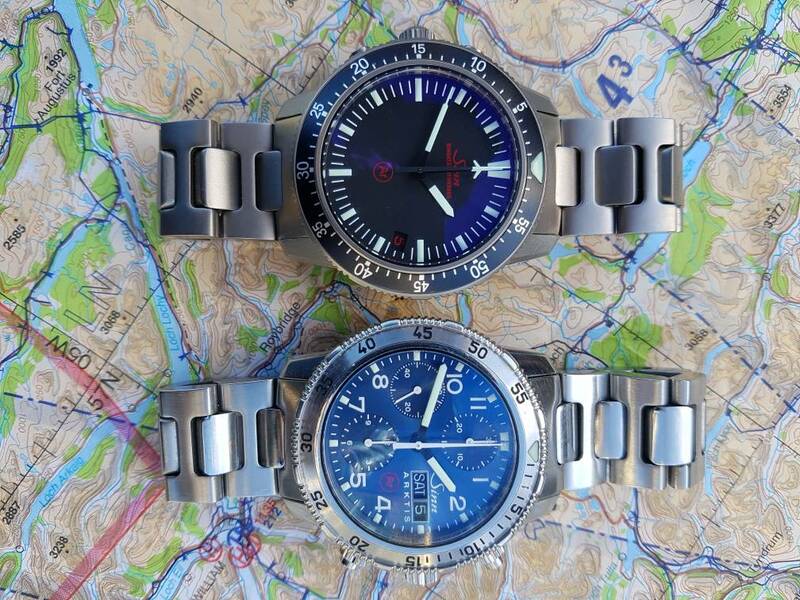 I see there are a few of the EZM 2 Hydros in here - any ideas as to whether the silver bezel on the civvie version can be replaced with the black one, like from the GSG 9 variant? 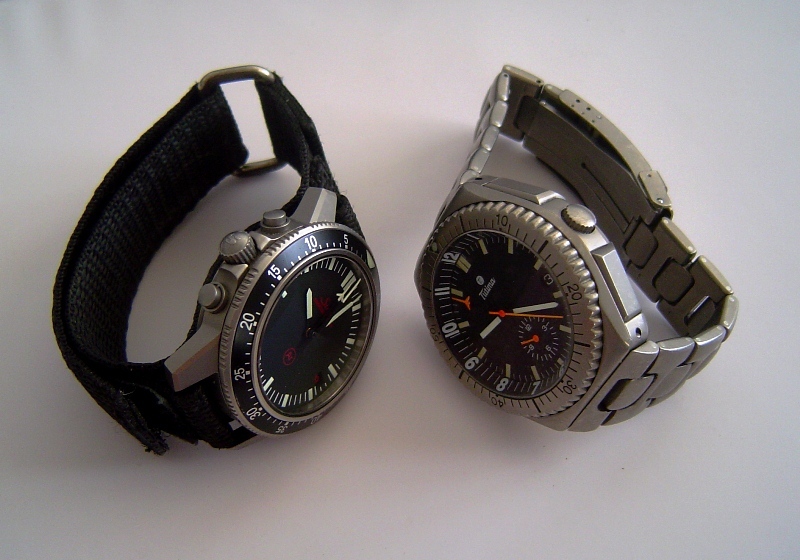 There's the silver civvie available on eBay for 1300, but the GSG version is 2500, which seems rather punchy? The thought of having a 5km depth movement and a 'as deep as is physically possible to go' is a bit too awesome to pass up! 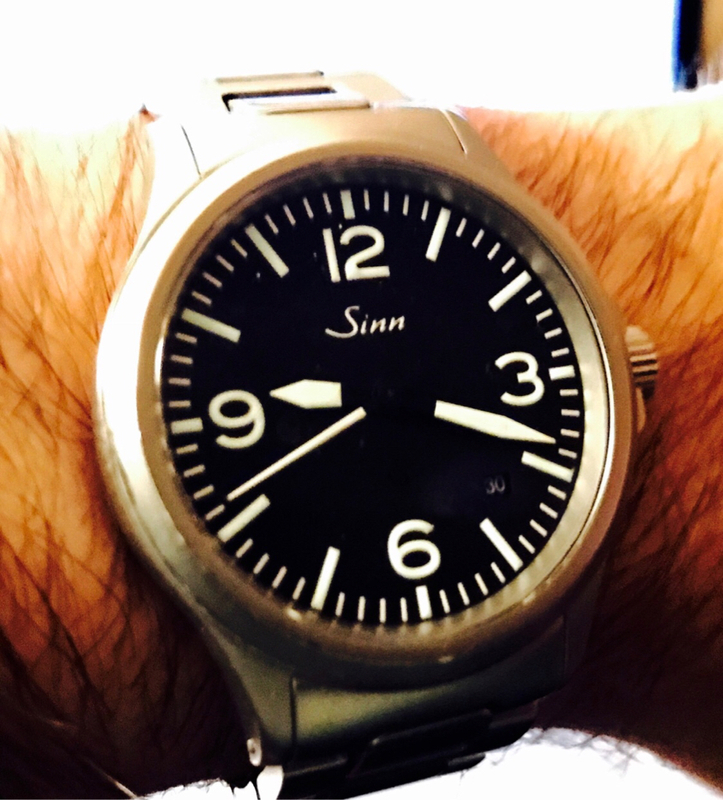 Edit: seems you could change the bezel back at Sinn, but that was seven years ago, so possibly no longer. Last edited by hughtrimble; 22nd November 2017 at 00:39. Frankly i can't believe the silver bezel one is still on there. He's had it on their for ages, its in great condition and i think pretty good value at 1300 considering it includes a bracelet etc (also iirc recent service). He has added a best offer recently as well. Last edited by seikopath; 22nd November 2017 at 00:36. Frankly i can't believe the silver bezel one is still on there. He's had it on their for ages, its pretty good value at 1300 imo considering it includes a bracelet etc (also iirc recent service). He has added a best offer recently as well. It's certainly why I haven't bought it! Much prefer the black to the silver. 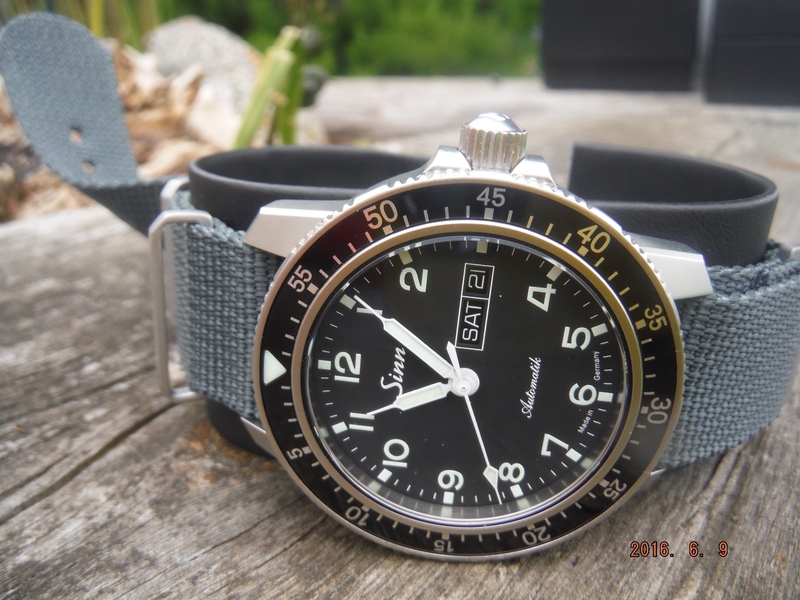 I'm very new to the Sinn game, and having been looking at the likes of Page and Cooper, Jura etc. was quite impressed with the prices these older Sinns are commanding given the most recent prices I can find for them are in the 400-600 range, but that was relating to a good few years ago! But I can see why - it's a lovely size, and a ridiculously cool piece with the tech inside. 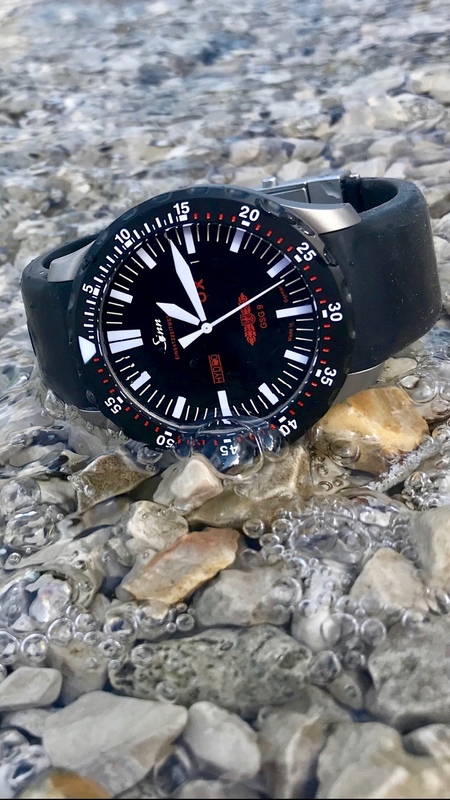 Do you have one of these EZM 2 Hydros, or just in the market for one yourself?